Neptune: the god of water and the sea in Roman mythology. 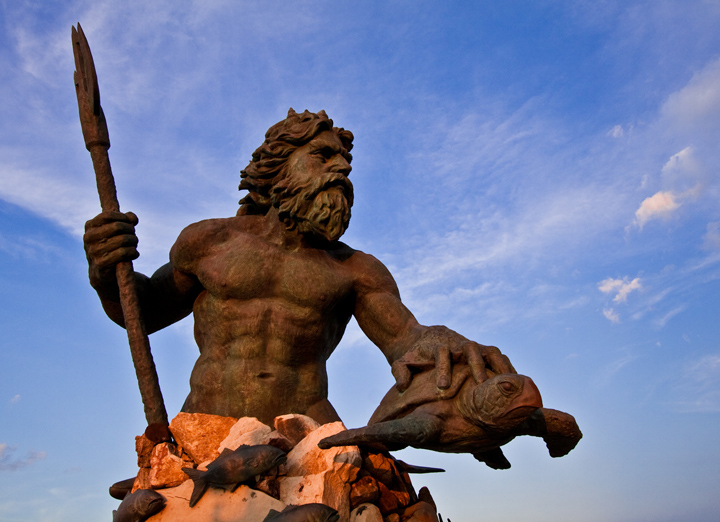 Here is a 34-foot-high bronze statue from Virginia Beach, VA, USA. Proudly hosted by Sargasso Networks. Current Server Time: 04/20/2019 02:15:14 PM EDT.